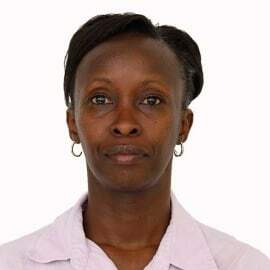 Karimi Kinoti is an international development specialist with vast experience working in Africa. She has a keen interest in sustainable approaches to poverty eradication and cross-sector partnerships between NGOs and the Private Sector. She has worked for more than 11 years at senior management level in the International NGO sector, and currently heads the Africa Division at Christian Aid UK/Ireland. Karimi holds a BA in Political Science, an MA in Conflict Transformation, and is currently studying for an MBA at Strathmore Business School.